What is the Most Popular Window Style in America? When you drive around the neighborhoods of Cleveland, you’ll see all types of architecture from varying time periods. You’ll see homes that are mega mansions and cute cottages, and everything in between. You’ll also see windows of every shape and size, from geometric to casement. However, there is one window that stands the test of time and complements nearly any home. It’s the window that has served homes across America (and even Europe) for centuries, and you probably even have a few in your own home. This window is known as the double hung. Double hung windows have been in American homes since the 1800s, although their concept dates back to Medieval times. In fact, there is a painting that shows a sash window in the background from approximately 1658. It was primarily found in Georgian and Victorian homes and made its way to America when the first settlers set down roots. A double hung window is easily distinguishable. It’s taller than it is wide, and it’s engineered with two sashes that lift for opening. They are engineered with two parts that move up and down. Since this is functional for ventilation but not so much for cleaning, double hung windows typically tilt-in so you can wipe down the inside and outside portions of the glass. Why are Double Hung Windows so Popular? 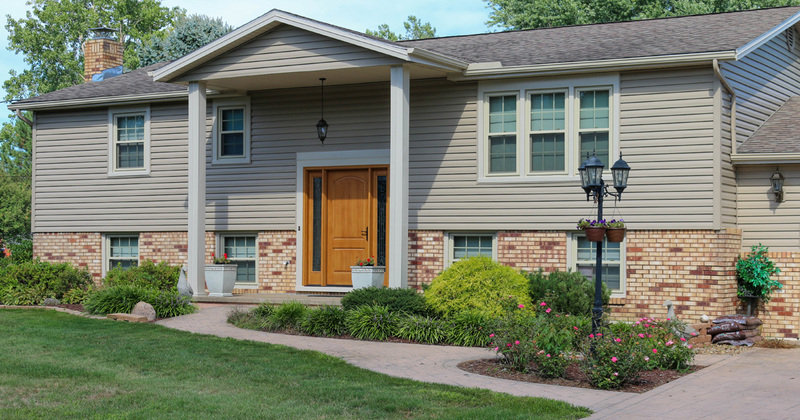 Versatility: Double hung windows look great on nearly any style of home that you can imagine. You can dress them up with grids and decorative glass, and even choose different colors to coordinate or contrast with your exterior. Energy efficiency: When you opt for energy saving features such as argon and krypton gas, your windows will stay warmer in the winter and cooler in the summer. Low-e glazing can also be applied to control UV lighting that filters through the window. Lowering the cost of utility bills: When you choose energy efficient double hung windows, homeowners can save up to $465 per year on your utility bills. 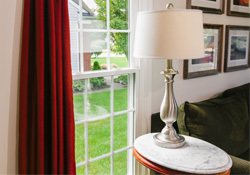 Easy to maintain: If you want a beautiful window without any hassle, look no further than the double hung. This is especially the case if you choose vinyl for your framing material, which isn’t prone to warping, rotting, or peeling. Universal Windows Direct customers love our double hung windows. They’re efficient, affordable, and make your home look more beautiful. Contact us today for a quote on your new double hung windows.